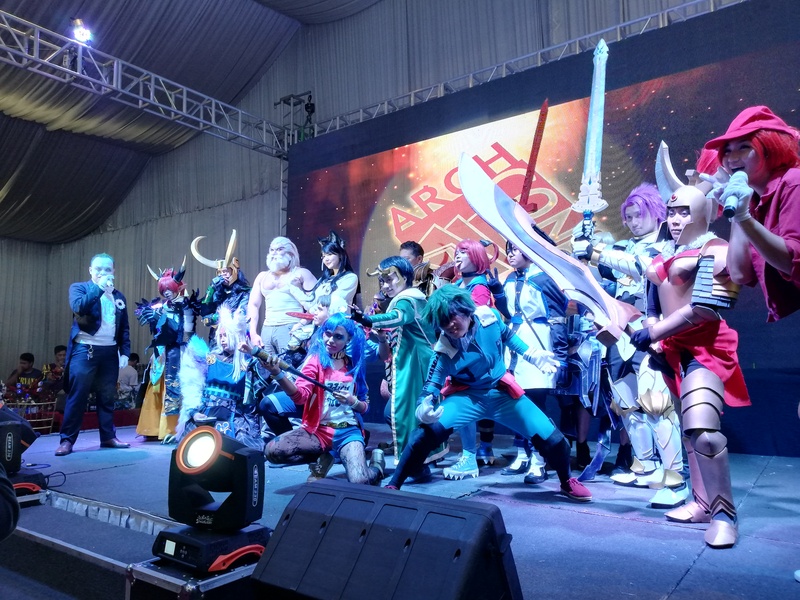 In celebration with ARCHcon’s 15th anniversary, cosplay enthusiasts were gathered in another set of competition showcasing their costumes, talents, and overall performance portraying their individual characters. Out of more than twenty who joined, only three made it to the top. Well, having the experience of being part of this annual event is what matters most. Second runner-up goes to “Spider-Man”. He actually has the most number of fans. Using his “spider-sense” and “spidey” movements, he quickly got the attention of the judges and the rest of the audience. I’ve got to say, he has the longest skit among the others, not to mention he literally got those “spidey” moves with all his flips and those spider web effects which was definitely fun to watch. First runner-up is “Ibaraki Doji” from the game Onmyuji. If it’s based on the costume I give it a 4 out of 5. The skit was average (at least for me) but the portrayal of the character by the cosplayer seemed to have been enough for the fans and the judges that the cosplayer was awarded such a high standing. The champion of this competition is “Youko”, a character from the game, Onmyoji. With how detailed and how attractive the fur is in his outfit (I like the fur), I couldn’t have agreed more with the judges’ opinion that the costume is one of the biggest factor of his victory. The skit was not that bad either. Confidence is there, and the expression of his face and mask speaks enough. For the record it feels rewarding and worth it to witness a cosplay competition since it is my first time covering an event like this. They all did great and in the end nothing can compare to the feeling of experiencing what it is to witness an event like this especially with a community this great. This multicellular organism loves Anime... Aside from that this creature is an enigma.